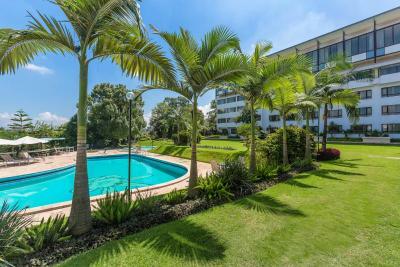 its a very good place to stay but its not good value for the money paid . overall its good but not great ! Breakfast, internet was great. Nice garden and pool (did not try). 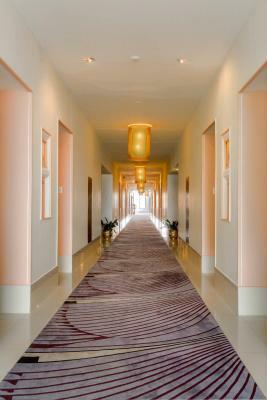 Great location, welcoming staff, great facilities & very comfortable rooms. I stayed here as part of a tour group. 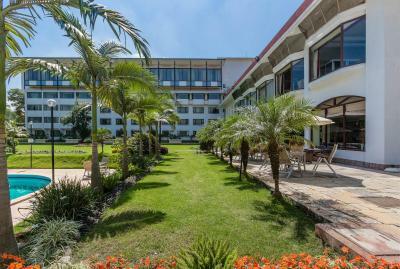 Friendly, hospitable and efficient staff who listen to the guest; clean and efficient hosue keeping; nice atmosphere in the restaurant; Base Camp Bar; comfortable room. The staff were very friendly and always willing to help. The grounds are well kept and a great view to have breakfast. The staff were so helpful and well trained. Excellent breakfast cooked to order. Lovely coffee.all food well presented and properly served. Beautiful décor, looked like a 5-star. Nice spacious and well-lit rooms, wifi always worked. 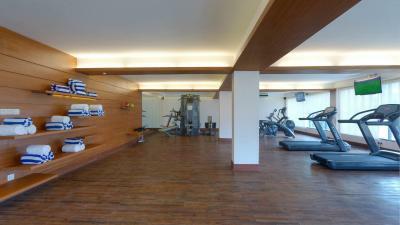 The ambiance of the property and the layout of the compound was very nice. Enjoyed walking around. Staff, mainly in the front desk and the airport transfer staff. 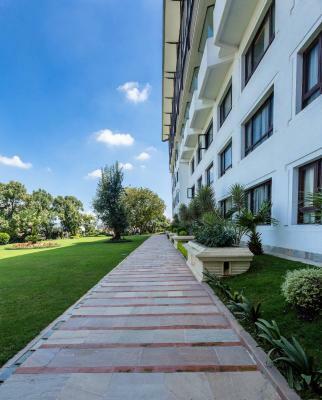 Hotel Himalaya This rating is a reflection of how the property compares to the industry standard when it comes to price, facilities and services available. It's based on a self-evaluation by the property. Use this rating to help choose your stay! 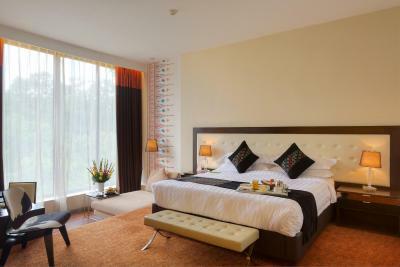 Located 1.2 mi from the city center and market, Hotel Himalaya offers boutique accommodations with free private parking. 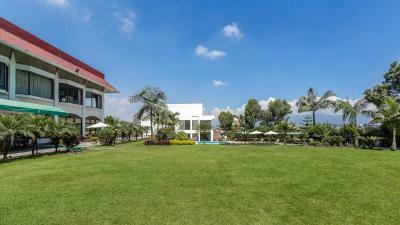 It is nestled within 10 acres of landscaped garden. 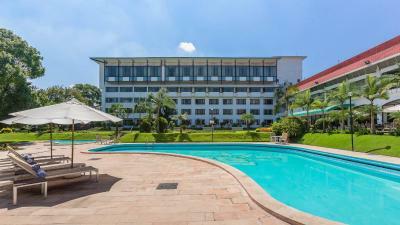 Boasting an outdoor swimming pool, the hotel offers 2 dining options and panoramic views of Himalayan ranges. 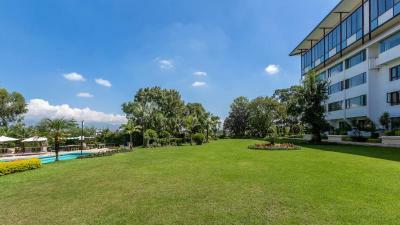 The property is within 10 minute walking distance from United Nation's House, WHO Office and Norwegian, Swiss and Malaysian embassies. The property is 1.2 mi to Patan Durbar Square. Tribhuvan Airport is 3.7 mi from the hotel. 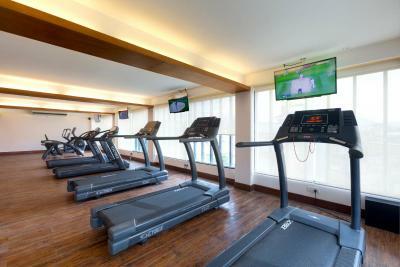 Each air-conditioned room is equipped with a cable TV, seating area, desk and wardrobe. Shower facilities are included in an private bathroom. Guests can arrange a trip to various attractions at the on-site tour desk. Laundry services are available. 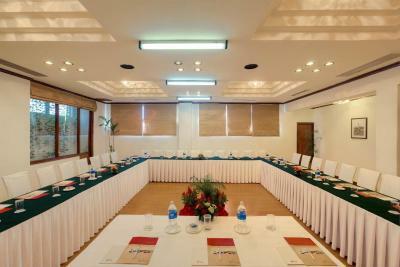 Meeting/banquet facilities and a business center are provided. Helpful staff can offer assistance with shuttle service arrangements. A game of tennis can be enjoyed. A wide range of Indian, Chinese and Continental cuisine can be sampled at Café Horizon. Terrace Dining serves a variety of gourmet delights. Drinks can be enjoyed at The Tea Lounge and Base Camp Bar. Patan is a great choice for travelers interested in galleries, scenery and mountains. 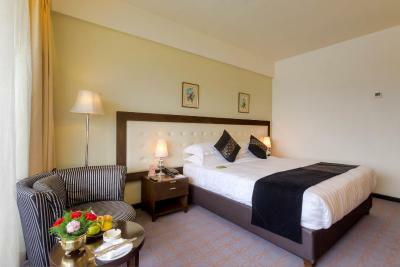 When would you like to stay at Hotel Himalaya? 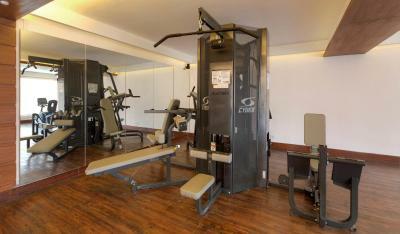 Air-conditioned room is equipped with a cable TV, seating area, desk and wardrobe. Shower facilities are included in an private bathroom. 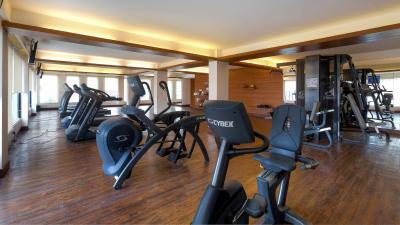 Larger air-conditioned room is equipped with a cable TV, seating area, desk and wardrobe. Shower facilities are included in an private bathroom. 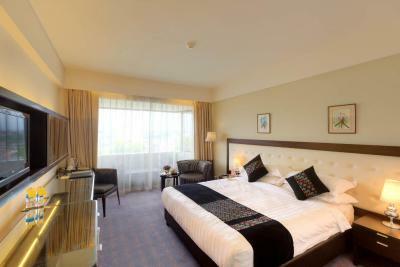 Room includes a balcony, tea/coffee making facilities and ironing facilities. 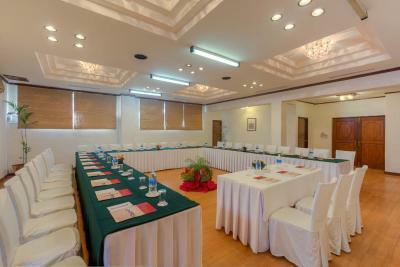 Largest air-conditioned room is equipped with a cable TV, seating area, desk and wardrobe. Shower facilities are included in an private bathroom. House Rules Hotel Himalaya takes special requests – add in the next step! Hotel Himalaya accepts these cards and reserves the right to temporarily hold an amount prior to arrival. 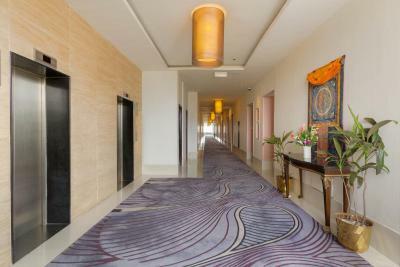 Please inform Hotel Himalaya of your expected arrival time in advance. You can use the Special Requests box when booking, or contact the property directly using the contact details in your confirmation. Not sure about the other hotels nearby, but for me the room did not meet the price/value ratio. Windows are not soundproof, you can hear everything from outside. The bathroom was especially below my expectation. I did see a cockroach in the corridor on my last morning laying on its back legs wiggling. Fruit in the room, breakfast, quiet. The facilities are old, e.g. carpets, wash/bath room, but clean enough. Good hotel bit a little worn around the edges. A very dangerous desk chair in my room with sharp exposed metal edges. The bar should stay open later 22:00 is a bit early to shut midnight would be better. Air conditioner is not so good. But the temperature was comfortable. had to change my room due to terrible smell and view. I think they should consider cleaning their room and changing there carpets looks and feels worn out.